There's no doubt about it. Everyone is mobile these days. Millennials, in particular, have gone mobile, especially when learning new things. Millennials are more likely to read a book on a tablet than read a paper book. They are also more likely to learn a new skill via a mobile app, like learning a new language on their phone. It's not just common to millennials. We all appreciate having access to just about any piece of information we need; instantly. All we have to do is ask Google. If we need to learn how to do something we look it up on YouTube. For retail employees, mobile learning is especially critical. In addition to new employees and products arriving daily, training is essential to learn more about what they are selling and answer customer questions. Retail employees have shorter amounts of time for training. This requires a learning tool that stays with them, is easy to access, and is loaded with lots of helpful information. They may even find themselves pulling up information while a customer waits, which makes it even more important to have easy access and mobility. So, with this in mind, how can you offer mobile learning to your retail employees? If all of your new and ongoing training videos and content are in one place with an all-in-one system, it can be. It takes time to get it all set up, but a more cohesive system is one of the best investments of your time you'll make this year. Is there anything more important to the success of your company than offering employees the very best training experience possible? Also, if it's the way they prefer to learn, then it becomes even more important to make mobile learning a priority. For retail employees, if you don't offer mobile training, they may get left behind as you try to keep doing things as you've always done. Turnover is so high in the retail industry that you may not have enough time to sufficiently train your employee before they move on to the next company. With lower engagement caused by insufficient training, it could happen. This is why 47% of companies have already switched their training material into a mobile format for easier access. Mobile access is only one benefit of having the right system in place. Other benefits include intuitive business analytics, training evaluations (tests and quizzes) to gauge understanding and all in one customer service and point of sale systems. Good systems connect your employees to critical training material on the go, to each other, and to you for an intuitive, successful interaction every time. The days of guessing what your employee knows or doesn't know, or guessing how many plates were sold yesterday are over. Data is everything, and a mobile system puts it at your fingertips. With better information, you and your employees can help your customers in an even more rewarding way. This is how business should have been all along. 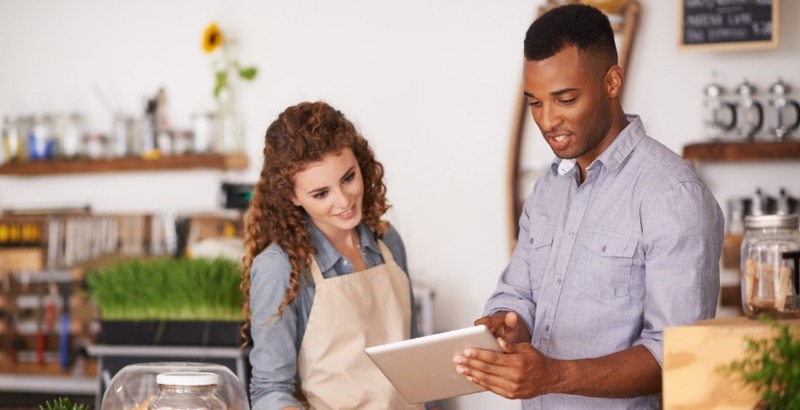 Make mobile learning a priority today and give your retail employees what they want. Learn more by downloading our guide "How Mobile Learning Technology Drives a Consistent Customer Experience."